We’ll begin this story in June of 2016, which marked the official start of the Teacher Preparation Data Project. Though even to get to this point, there were many early sources of inspiration, sketches on napkins, and dreams of what could be. Deans, program administrators, faculty, etc. need access to data so they can understand how their program supports preparing effective teachers and the performance and retention of their graduates. However, in order to really answer these questions, you have to pull data from multiple systems within a TPP, from the districts where teacher candidates do their fieldwork and ultimately become employed as teachers, and from the states that oversee certification. Therein lies the challenge. The Teacher Preparation Data Project set out provide a technical, scalable solution to address this challenge. A grounding point of the project was a convening in Chicago in July 2016 with 35 participants, across 19 states, and 15 prep programs. Over a two-day work session filled with excitement, innovative ideas, strong support, and balanced with some understandable confusion and healthy skepticism; participants discussed questions about teacher preparation that they would want to answer with data along with the barriers to access this data. With Post-it notes that wallpapered three large rooms, participants identified over 250 questions and the data they would need to answer these questions, which led to the creation of 91 use cases that were the foundation for the Teacher Preparation Data Model (TPDM). The open source Ed-Fi data standard was used as the framework to develop the technical solution since it was designed to address this exact challenge for K12 districts and states. The TPDM is an extension to the core Ed-Fi data standard. Described simply, we created the venn diagram between the existing K12 Ed-Fi data standard and the listing of TPP data elements to identify both the common and new data elements that were needed for teacher prep. Our technical team will be the first to say that while this explanation sounds very straightforward, the process was anything but simple. There were challenges in 1) determining how to model the new data elements without access to real data, and 2) making a student centric Ed-Fi data standard work for teacher candidates, who are first students, then become staff. In order to ensure integrity to the Ed-Fi data standard, a data panel was formed to provide guidance and decisions on key areas of the data model design. In a “pop the cork” moment, in December 2017, the TPDM was complete and made available on the Ed-Fi Exchange. This enables free access to the TPDM to Ed-Fi community member organizations. The TPDM is now being maintained by the Ed-Fi Alliance and the community will help determine what revisions should be made to make sure it is a sustainable solution that addresses the needs of the TPP community. Three TPPs have taken the step forward to pilot the TPDM and there are more on the horizon. If you are interested in more details about this journey, you can read about it in the book Data for Continuous Programmatic Improvement: Steps Colleges of Education Must Take To Become A Data Culture, which includes a chapter on the Teacher Preparation Data Model as well as insight from many subject matter experts in the field that contributed to this effort. Also, send us an email and we can talk! 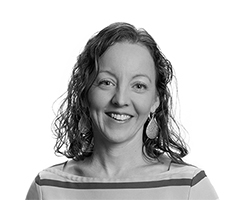 Cari is a Project Manager at UPD Consulting and has over 12 years of project management experience.